Danko Jones in Montreal or Quebec City? Inform me about the next events for Danko Jones. Enroll yourself to our priority waiting list for Danko Jones to be alerted when new tickets are available. Filling this form doesn't engage you to any purchase. 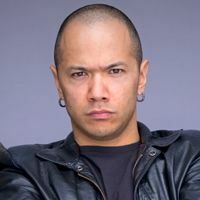 Danko Jones will soon be back in Montreal. On May 14th, 2010, Danko Jones will rock out the Cabaret Juste Pour Rire. This will be Danko Jones' second presence in Montreal in less than 4 months. The Toronto three-piece was the opening act for Guns N' Roses' recent gig at the Bell Centre on January 27th, 2010. Danko Jones' new album Below the Belt should be made available just in time for their concert in Montreal.